Julian Malins Q.C has for many years represented clients from all over the Middle East, especially from Saudi Arabia, Kuwait, The Lebanon, Syria and The U.A.E. in all courts of the world, including in the Caribbean. 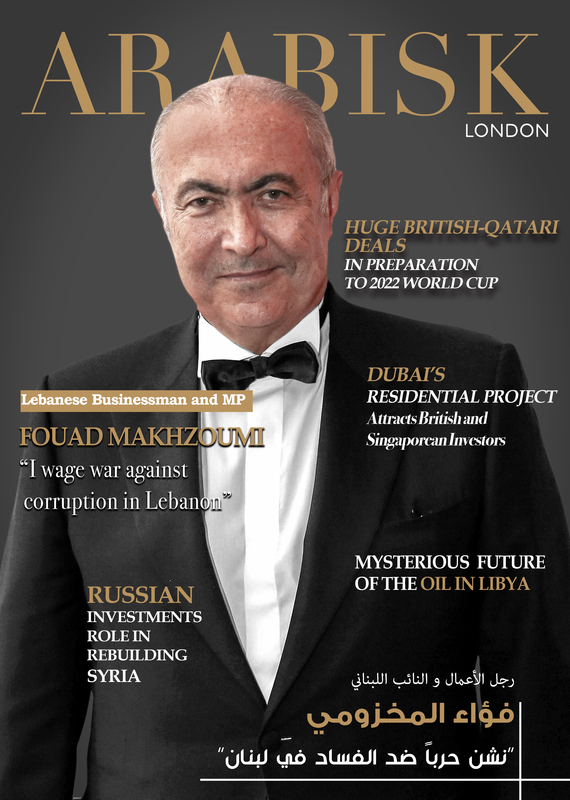 Arabisk London magazine met him in his London Chambers to ask him about his most challenging and interesting cases and how he sees the future for international legal work. You were recently working in Riyadh. How do you see the current developments in international commercial litigation in The Kingdom of Saudi Arabia? There have been tremendously positive developments in recent years. At one time, international commercial disputes could not practically be litigated in Saudi Arabia, but that has all now changed and very much for the better. It will take time, but I foresee that Riyadh and Jeddah will both one day rival Singapore, Dubai, London and New York as centres of international legal excellence. One positive step would be to appoint some highly respected commercial lawyers and judges from other jurisdictions to sit, perhaps part time, in the Saudi commercial court. This practice encourages international confidence in the quality and impartiality of the judiciary and is being followed in many jurisdictions. 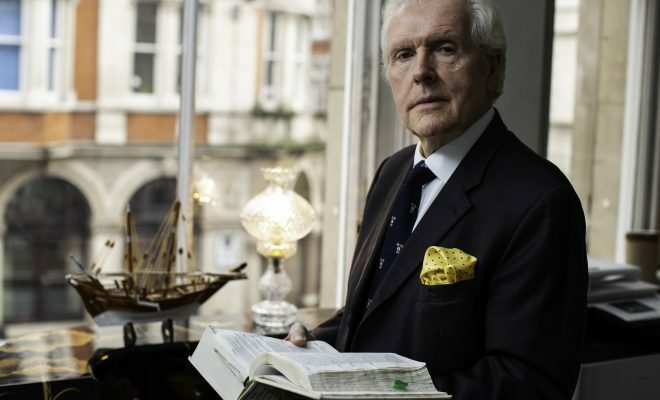 Everybody knows that English barristers are professionally required to act for all clients regardless of which side of any dispute they might be instructed. But how does that work in practice? Of course, my clients come in all varieties. Often the most interesting and challenging cases involve seeking to minimise the client’s exposure and losses. And to be an effective lawyer, it is necessary to act both for victims and fraudsters. It is always good for a lawyer to step outside his comfort zone. I recently wrote a Report into the Cambridge Analytica/Facebook data breach and scandal. That required me to undertake a huge and steep learning curve. And for me, every client gets my utmost attention. At the end of last year, I went from appearing for a Hedge Fund billionaire in a complex court hearing, straight to representing (for free) an asylum seeker, who needed my help. That is part of the satisfaction of being an advocate. You are well known for having had a blind Muslim pupil for a year. How did that work and can a blind person be an effective lawyer? It was one of the happiest years of my life. He was born blind. He had an extraordinary capacity to remember verbatim everything anybody said and an equal ability to tell if anyone was lying! We went everywhere together holding hands and at the end of his pupillage he returned to Pakistan where he is now a most successful lawyer. I remember our theological discussions with the utmost pleasure. 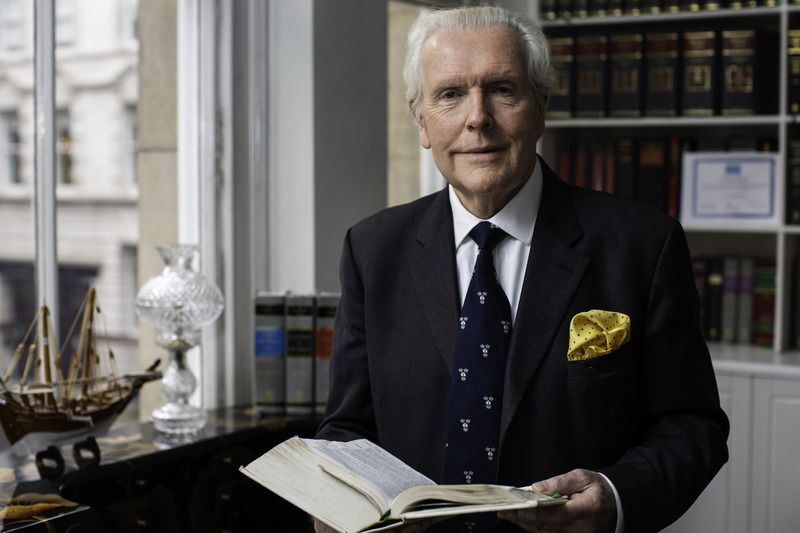 Senior lawyers should always have a pupil. What fields of law do you specialise in? In my lifetime lawyers have become ever more specialist. This is not a good trend. It narrows the mind and can lead to serious mistakes as soon as a slightly different case comes along. I suppose that the bulk of my current practice is in international commercial disputes, fraud and asset recovery and protection. But I try every year to take some cases which are either unique or at least way outside my usual work. What are the essential attributes for a successful international advocate? Luck and good health and common sense and hard work, of course all play their part. But the one key ingredient for me is always to be immediately available to the client. You can never tell when you might be needed. Being able to rise from one’s desk and set off anywhere in the world in one’s client’s interests inside 30 minutes, is the ideal. “Be there” is the best advice I can give to a young lawyer. In a lifetime of fraud cases, what is the saddest you have come across? That is a good question. I remember sitting one night on a bench at Damascus airport waiting for an early morning flight. It was just me. Then a very old man and his middle – aged son, all dressed in white, appeared and sat down next to me. The son spoke some English. Their story was this. They were illiterate farmers from a remote part of Pakistan and had saved all their lives so that they could undertake the Haj pilgrimage to Mecca. They had travelled to their nearest town and bought from a travel agent what they thought were two return trips to Mecca, all inclusive. In fact the dishonest agent had sold them each a one way ticket to Damascus and they were now penniless and stuck at Damascus airport. All civilized cultures have a tradition of helping pilgrims. So I summoned the airport manager who was at his wits end as to what to do with them. After some tough negotiations (I only had US$700 on me but the airport manager was facing having the two men in his waiting lounge indefinitely) I persuaded the manager to get both men a flight from Damascus to Mecca and then back to Pakistan. That is what I would call a successful outcome to a fraud case. Never. I want to die in court on my feet addressing the judge. There is a tradition in the common law world that if that happens, the judge must give judgment in your favour. It would be good to go out on a win.